How to wear Ankara for 7 days in a row: November 2018 Edition. Hello beautiful people, welcome to my blog. Like the post Here How to wear ankara for 7 days in a row, I will be wearing ankara this week. This time I will be wearing pieces from different brands...I will caption the photos at the base with their Instagram names so you can check them out and shop. Symdey Couture is a ready to wear brand that stocks timeless made in Nigeria outfits in plain and vibrant prints at affordable prices. They ship worldwide via DHL so distance is not a barrier. I am still trying to put a name to my style. Do you have your style defined? what is your style game called? How do we get value for the money spent on co-ords? I love Co-ords because sometimes you get 2 for the price of one. This set is from Just you, a ready to wear brand that stocks chic and affordable pieces in vibrant prints....they ship worldwide via DHL. My favourite of the pairings is the Ankara skirt with white shirt, which is yours? I got this gorgeous dress from Symdey Couture...LBD that is unconventional because of the beautiful ankara detailing spin they put on it. How will you style this dress? Most of us have gory stories to share about Nigerian Tailors....I have heard of where a tailor disappointed a bride to be on her traditional wedding day. I have a lot of personal stories too.....like the one that still has my fabric over five years later. How do I manage them? I meet a new tailor, I make one or two things and move unto the next one....I have only kept one tailor because of convenience, she delays and disappoints but working with her is convenient because she picks and drops off from my office and also sells fabrics....no time allotted for tailor chasing in my schedule. 2. I avoid them. I do this by shopping from ready to wear brands....there are several good brands that stock affordable and fabulous pieces. I wonder how the RTW brands manage with their tailors because there are very few "angel tailors".....I really do wonder how they cope since they make these clothes in bulk and for commercial purpose. Anyways that is how I avoid developing high B.P from tailor issues. How do you manage tailor issues....what is the worst thing a tailor has done to you? If positive too, please share.....maybe I will be needing that Angel Tailor's number. I doubt tailors abroad are like that ..... People that live or have lived abroad, is that how tailors are there too? Thanks for stopping by....please don't forget to subscribe to my blog. 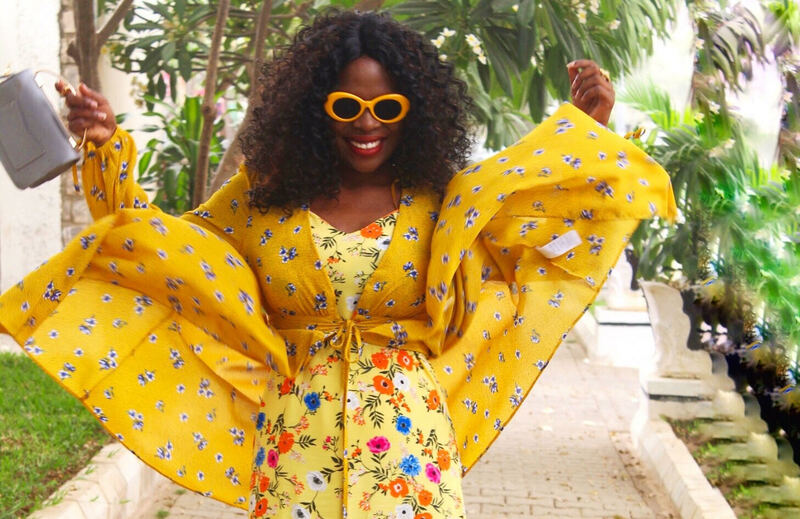 Can you wear Ankara or incorporate it into your style for 7 days straight? I am doing that this week using pieces from SGTC Clothing to celebrate their 2nd year anniversary. What is with you and SGTC Clothing I imagine you asking? 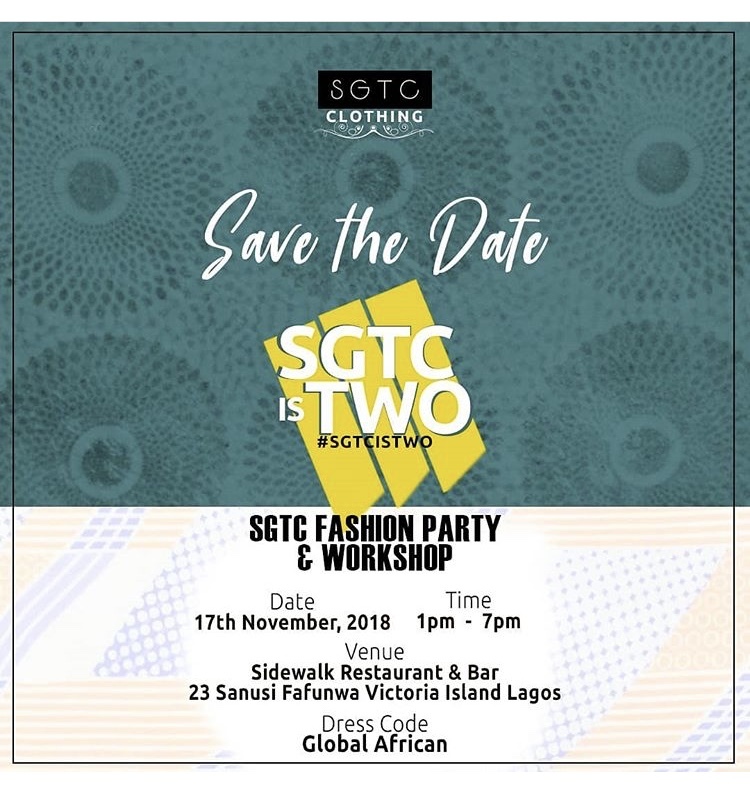 SGTC Clothing is a ready to wear brand that stocks affordable Ankara pieces in vibrant prints.They incorporate trends into their pieces beautifully such that it is not over bearing if you know what I mean.....They ship worldwide via DHL so location is not an issue. My favourite is Tuesday, maybe because I have a thing for black but which is yours? Can you wear ankara to work or do you have a strict dress code that does not give you the liberty? Lets gist in the comment section. I am... She who wears prints for the fun of it; She who isn't afraid to express herself through fashion and style; She who laughs longer than a joke; She who hoards shoes as a hobby; A rehabilitating shopaholic... I am that unique mix of sugar,spice and everything nice (cliche? I know! LOL), I am...Opeyemi...fabulous girl with big dreams and a bigger God. Please subscribe and never miss a thing.